Four years ago, I attended a birthday party in Hinatuan, Surigao del Sur (where the well-known Enchanted River is) and I got to chat with a local schoolteacher. She went on to gush about the cold spring. She said that it looks like a mini-Enchanted River, but sans the tourists. 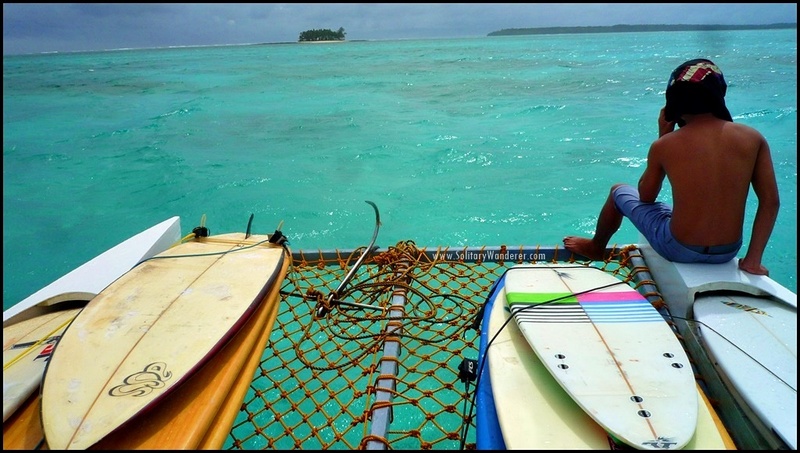 The water is deep, cold, and clean, and only locals go there. 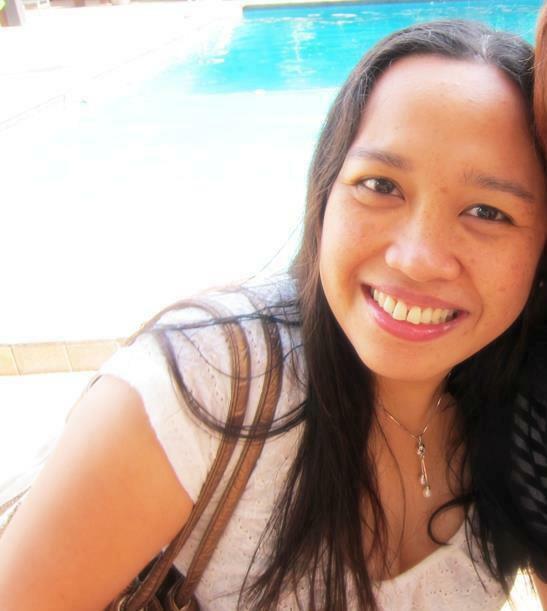 She sold me on Libuacan so much that I extended my stay in Hinatuan and went there the next day. The swimmer is right next to the underground source. Everything that she told me was true; the water was so unbelievably clear. It looks shallow as you can see the bottom of the stream, but it’s actually around 4.5 ft deep, and much deeper closer to the source. There was also no one there except a couple of kids who jumped from the tree straight into the deepest part of the spring. Libuacan is located right by the dirt road, and there was no structure nearby, so I had to change clothes behind a tree, hoping that I wouldn’t inadvertently step on a spider — or worse! — or that I wouldn’t be seen from the road. But the water was so worth it. It was deep, and cold, and very fresh. Its source was an underground spring. Locals even get their drinking water from it. Locals still wash clothes here (where the people are). What the schoolteacher didn’t tell me though, was one part of the stream, at the other end of the water source, was used by locals as their dumpsite. The stagnant water there was full of empty bottles, sachets of shampoo and conditioner, plastic, and other detritus of human living. It broke my heart. Plans for its development were underway, I was told. And so I forgot about Libuacan for years. View from the picnic tables. The strongest current is where the rope is. It’s also very deep. Until this year, when I went back to Hinatuan with friends from Spain. 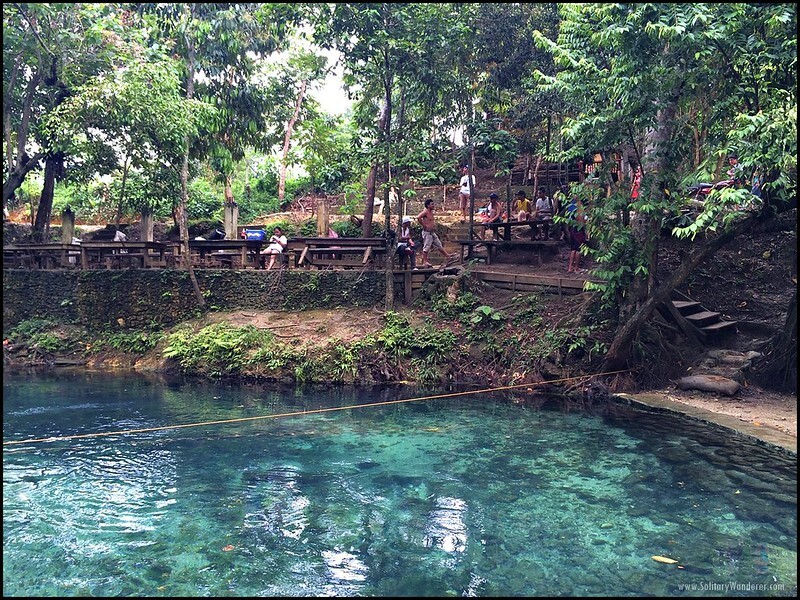 We revisited my old favorites: Enchanted River, Tinuy-an Falls, and Britania Islands. Almost as an afterthought, I added Libuacan to the itinerary, hoping that the locals have already been made aware of environmentally sustainable practices. From Tinuy-an Falls in Hinatuan, on our way to Britania Islands in San Agustin, we passed by the small town of Tagbina, Surigao del Sur. All I remembered was that the road going to Libuacan had a school on the corner of the national highway. You can ask for Barangay Maglambing, but it would be easier if you can use Google Maps. 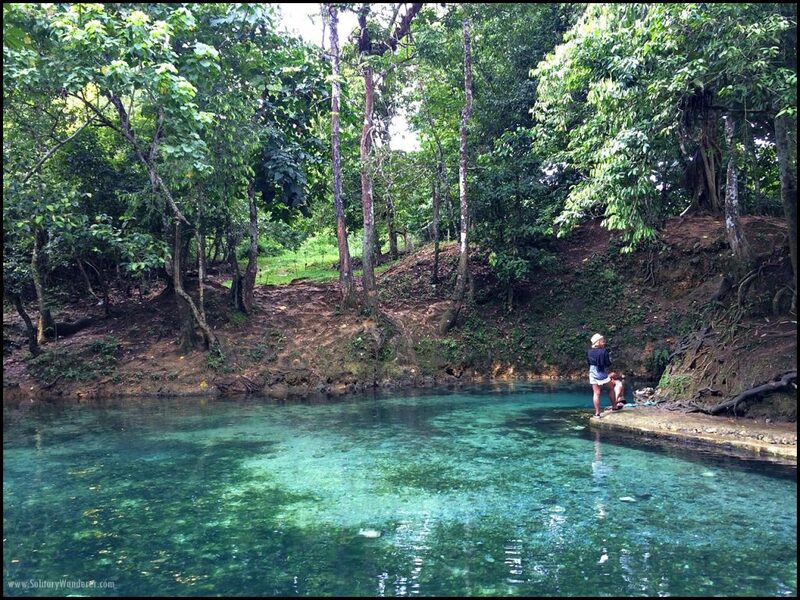 Input “Libuacan Cold Spring” and you won’t miss it. If you don’t have a car, get off the highway at the school in Barangay Maglambing. You can take a habal-habal from the national highway to Libuacan for P15 each. So, is Libuacan developed already? They’ve built concrete steps going down to the stream, as well as put in a wooden bridge to go to the other side. They also tied a rope across the stream, because the current there is pretty strong, and it’s very deep. The bridge is a new development. There are picnic tables and chairs, as well, and a dressing room made of galvanized iron. By the entrance, there’s a hut where the barangay representative sits, accepting donations in lieu of an entrance fee. For our group of 6, I gave P100. Most important of all, the trash is gone. The stagnant parts are cleaned, and the spring is all that it should be: clean, clear, and with some parts deep enough to dive into. 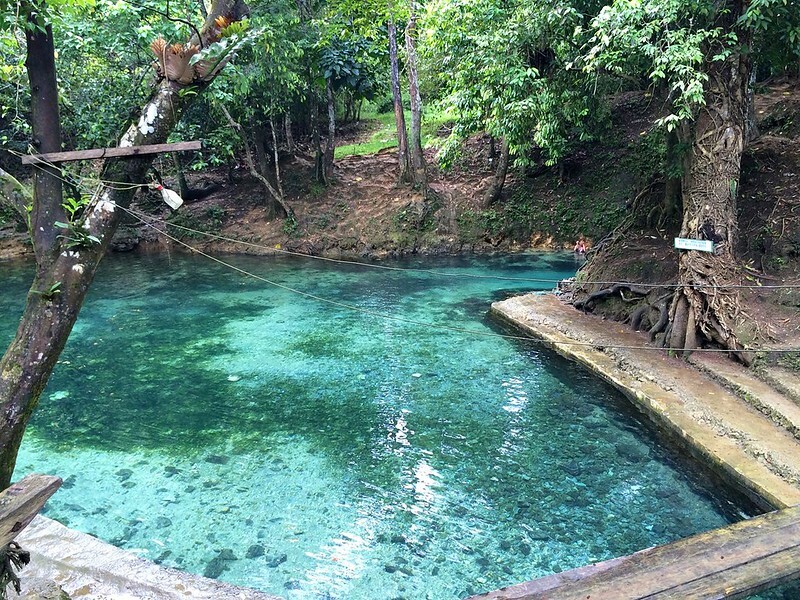 I’m glad it hasn’t been developed to death like the Enchanted River. You won’t find bathrooms here (although that would have been a good thing, because otherwise, where do people pee? ), and no restaurants and souvenir shops. There’s just a small store across the road, and a few habal-habal drivers waiting for people to go back to the national highway. Also, it seems that despite its development, it’s still not attracting as many tourists as it deserves. When we were there, there was just a group of men drinking (my friend cadged a shot of koter from them. It’s a liquor made from fermented coconut water, mixed with eggs, milk, and I forget what else) and a group of BPO employees out for the day. All in all, not bad for a beautiful cold spring. I prefer it this way, actually, with minimal development, and only a few people at a time enjoying its waters. 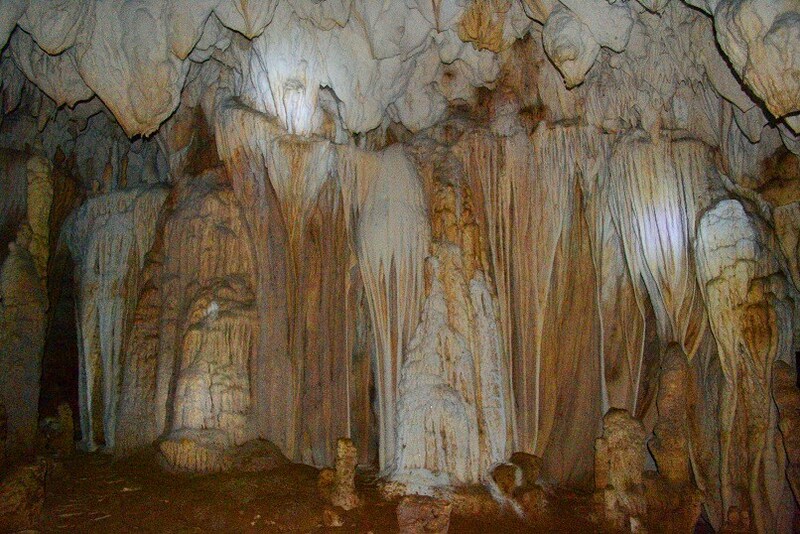 I just hope it retains its freshness when, in the years to come, it will eventually become a popular side trip to the many attractions already in Surigao del Sur. 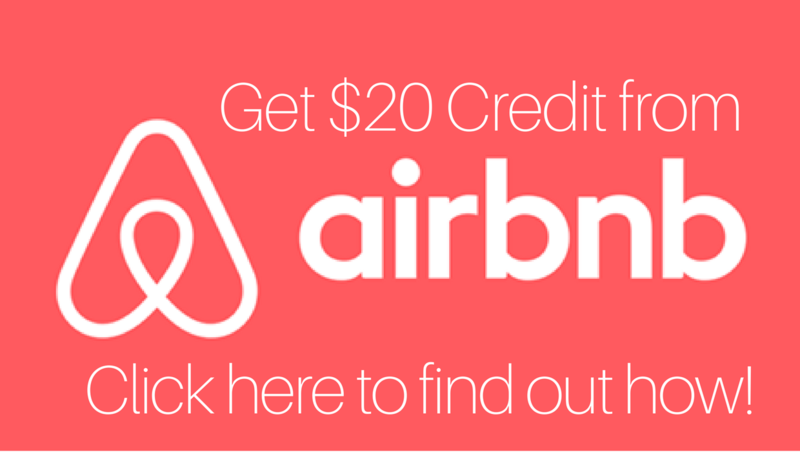 So yes, do visit. Donate what you can to the barangay, but always, always bring back your trash. 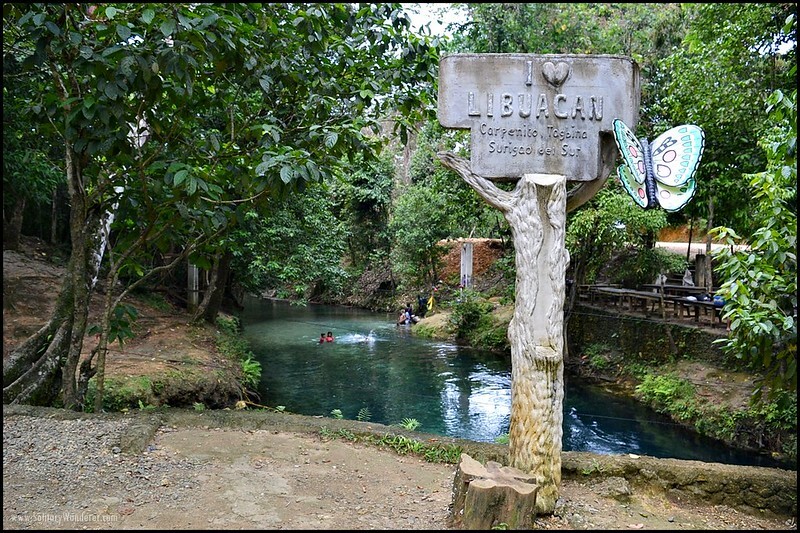 Let’s help keep Libuacan Cold Spring retain its beauty! I always love to go to Libuacan weekly!!!! The water is really refreshing. 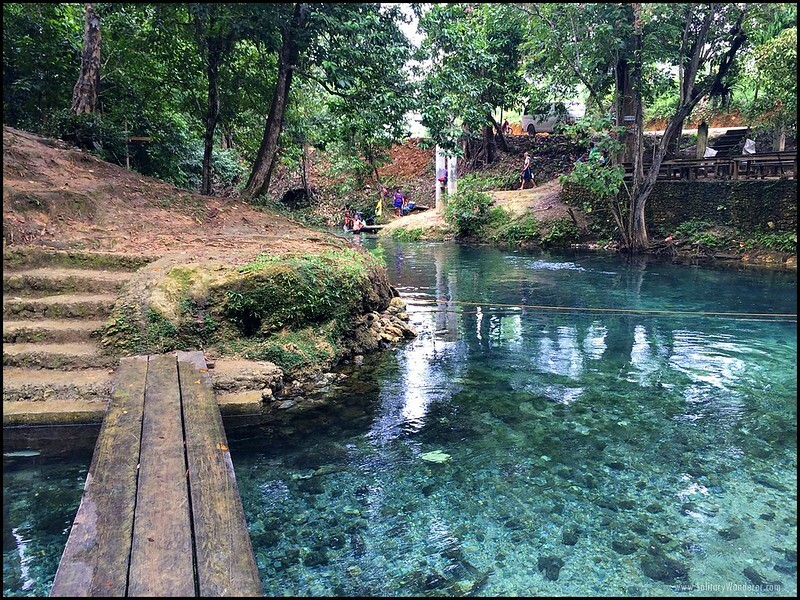 I heard so much of this cold spring when I was in the Philippines. I am sure it will be on my bucket list when I return home. 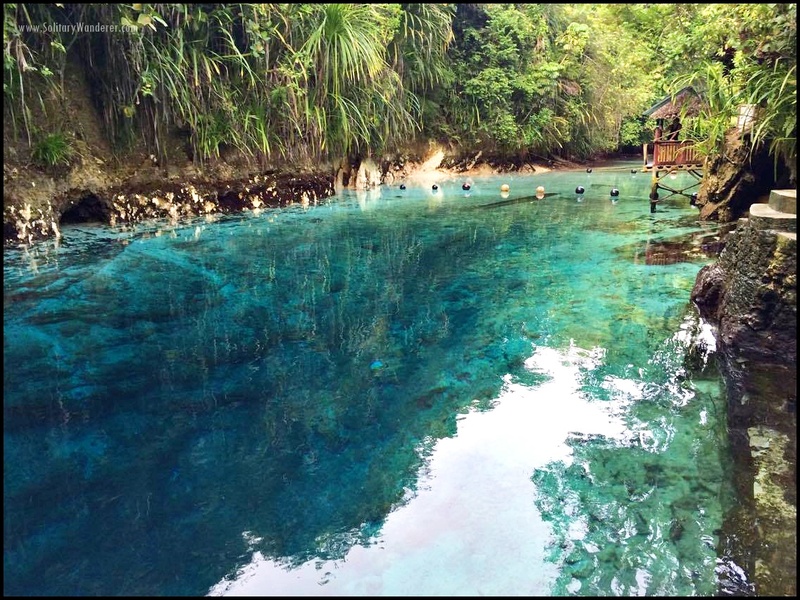 There are many places I wanted to visit in Surigao, I read the blog of Italian blogger and the way she describes Surigao, makes me want to fly and be there. Mapuntahan nga yung cold spring na yan. I believe Tinuy-an Falls is in Bislig, not Hinatuan. I would love to try it! Look at that crystal clear blue water and tropical atmosphere! I will definitely visit this! Oh, it’s on of those so-called cold springs that came from the mountains. I love how clear the water is, and how beautiful the clear blue color it gives. I would love to take a dip there too! 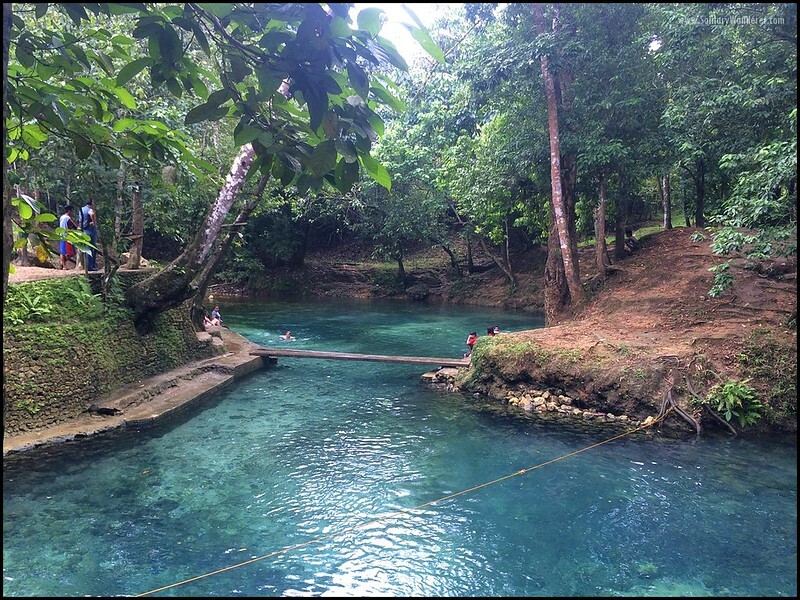 I have never been to Surigao but I have heard wonderful things. This place is an addition to my growing “Places to Go” list! 🙂 And I’m glad to know they decided to clean it. I think it’s such a waste when beautiful places are ruined by people. That’s amazing! It looks like the shallow end of Enchanted River. It’s really nice to hear that the locals heeded your suggestion to clean the spring. 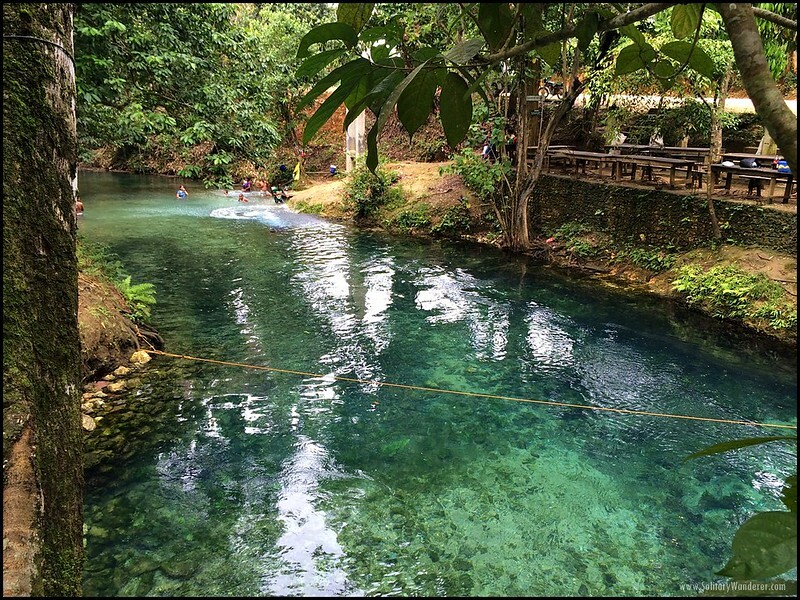 But we do hope they will control the “touristy” development there to prevent it from becoming another Enchanted River. I have never heard of a cold spring before. I bet that’s needed in tropical setting. The water is so beautiful. I remember seeing something like that in Cancun – that’s one of the reasons why I love the place so much because of the water.